The danish conservative party also just blocked the new libertarian government from cutting back on the emission ambitions. The other libertarian party (not the ruling one) however has an outright climate denier as speaker on climate issues. In reality, I don’t think the ideology motivating these idiots are neither conservatism, nor liberalism, They simply ignore basic libertarian principles as that one persons freedom only extends to where it interferes with that of others. It’s not liberalism, – It’s some perverse kind of laissez-faire anarko-capitalism and a hate for government regulation and taxes regardless of the facts. My theory: faulty toilet training. Yep, that, but I like j4zonian’s Wetiko Disease also. There is evil there as well. I had blogged about the GOP congressional bill at Brooklyn Culture Jammers. It’s worth noting that virtually all of its co-sponsors are ‘moderate’ Republicans in blue or purple states–and its author Chris Gibson is not running for re-election. A lot can happen between now and election day, but the visible and growing radicalization of the GOP may wind up relegating the party to regional status. Demographics aren’t on its side outside the deep South, and the cratering of oil prices may make voters in Alaska and North Dakota think twice about tying their futures to fossil fuels. “From a global standpoint, the entire Republican Party has lost its collective mind” is not quite true. 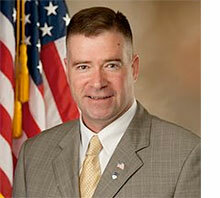 Rep. Gibson has only 10 co-sponsors for his resolution, and they’re all Republicans. It would appear they’re not yet totally crazy. Of course, it’s only a Resolution, not a Bill, and it has been “sent to committee” where it may be buried and never seen again. Perhaps Rep. Gibson and his co-sponsors are counting on that? They may be in districts where it will help to be seen to be a “moderate” on climate change, and it’s all just PR? House Resolution 578 – Expressing the sense of the House of Representatives that there should be established a National Watermelon Month. (This is my favorite, because Watermelon Day is August 3, Watermelon Month is July, and the peak of watermelon season occurs in late spring-early summer, so all the celebrating is mostly after the fact. Go figure). And I will not be surprised if some congressman from Oklahoma one day pushes a resolution to commemorate the day that Strom Inhofe proved to the world that AGW was a hoax by throwing a snowball on the floor of the Senate.